NFL NEWS - Eric Reid, the first NFL player to join Colin Kaepernick's kneeling protest during US national anthems, signed a three-year deal on Monday worth $22 million with the Carolina Panthers. The 27-year-old safety signed a one-year deal worth $2 million with Carolina last September as an injury replacement after struggling to find work in the league, much the way his former San Francisco 49ers teammate Kaepernick has since starting his protest in 2016 and opting out of his contract in early 2017. Reid played five years for the 49ers but struggled to find work in 2018, getting a look from Cincinnati as a free agent last April but no offer. The NFL Players Association (NFLPA) filed a grievance against the Bengals, claiming owner Mike Brown negotiated in bad faith, asking Brown if he planned to keep kneeling during pre-game playing of the US anthem. An arbitrator backed the club last October. 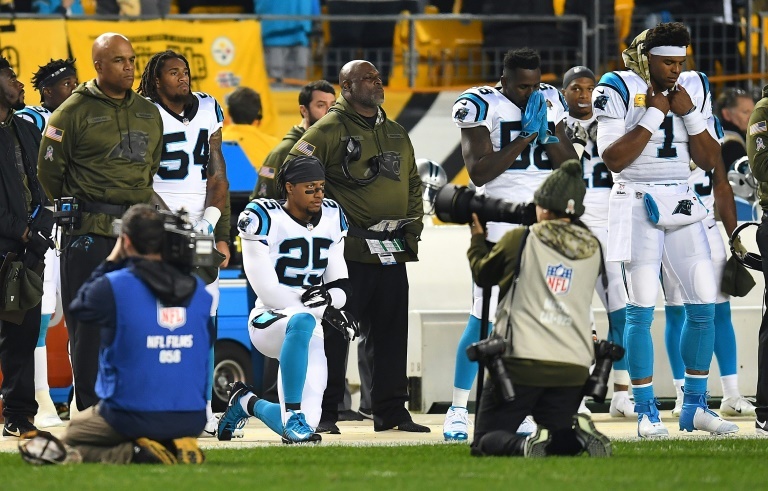 Reid continued to kneel for the anthem while with the Panthers and the NFLPA also claimed he had been singled out for extra tests in the NFL's random process for performance-enhancing drug detection, saying he was selected seven times after signing with Carolina in 2018. Such a frequency has only a 0.17% probability of taking place randomly, but an NFL and NFLPA joint probe found last month there was no evidence Reid had been targeted. The NFL filed a grievance on Reid's behalf nine months ago claiming NFL team owners and league officials had been influenced by the criticism from US President Donald Trump into colluding to deny Reid employment because of his protests, a grievance that remains active. Kaepernick has stressed his kneeling was a way to draw attention to racial injustice and social inequality while Trump declared the protests an insult to the nation, flag and military and insisted players who kneeled for the US anthem should be fired. A similar grievance was filed on behalf of Kaepernick and last August an arbitrator ruled against the NFL's bid to have Kaepernick's case thrown out, allowing it to proceed to trial. While Reid's new deal would likely undermine his collusion case, it might not have an impact upon that of Kaepernick, who has now missed two NFL seasons and seen numerous teams lose quarterbacks to injury without getting a job. Reid had one interception, one sack and 71 total tackles in 13 games for the Panthers last season.